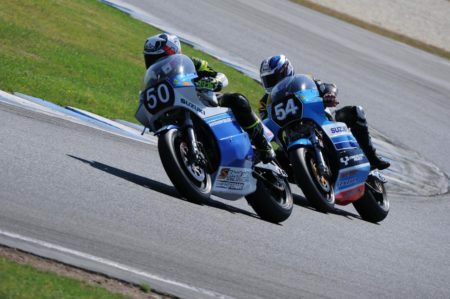 The countdown is on for the three-nation International Challenge showdown, with New Zealand today unveiling its squad to take on Australia and Team USA, when the historic bike racers meet at Phillip Island next weekend, January 25-27. 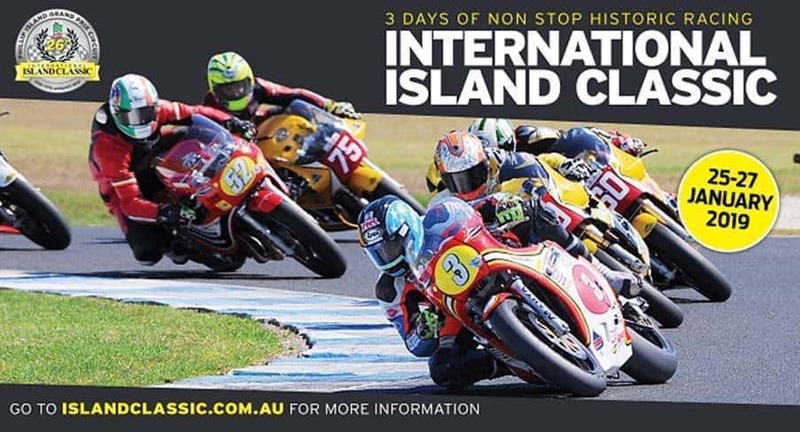 The Challenge is the headline event of 26th annual International Island Classic, presented by Visit Phillip Island, and the Kiwi announcement unveils some stunning additions to the start list. The Kiwis have capitalised on their long-term relationship with gun racer, Alex Phillis, and the Taupo-based Carl Cox Motorsport – the motorsport arm of international DJ Carl Cox – to strengthen their ranks against defending champion, Australia, and Team USA. Carl Cox’s Kiwi outfit brings with him three-time British superbike champion John Reynolds, ‘modern’ and classic racer Jay Lawrence, and Michael Neeves, the senior road tester at iconic UK publication MCN. The Kiwis have also sought dispensation for two 1985 Suzuki GSX-Rs for the Carl Cox camp to run, with approvals being given this week by team captains from arch rivals Australia and the USA. Reynolds, 55, is a true champion, winning three British superbike titles (in 1992, 2001 and 2004) in a career which also saw him compete in 500 GP and world superbike competition. He now works with Suzuki Great Britain (GB) as an ambassador, competing in the European Classic Endurance Series, testing for Suzuki Japan and teaching at corporate track days. “We’re coming to the Island Classic, because Suzuki GB and Team Classic Suzuki have a great relationship with Carl Cox Motorsport and we think the Aussies will love seeing these Suzukis in action,” said Reynolds from his Nottinghamshire base. Reynolds won a world superbike race in 2000, finishing ahead of Aussie Troy Bayliss at a wet Brands Hatch. 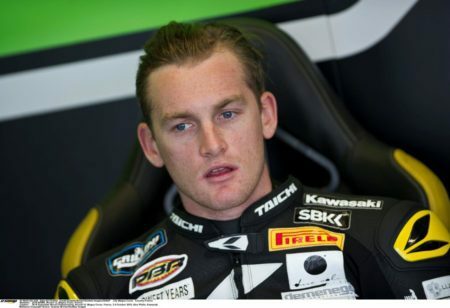 He also won a whopping 37 British superbike races, but called it quits from racing full-time after a big crash in the final stages of the 2005 season. “New Zealand has given me a lot of opportunities to further my road racing career, so this is a good way to pay them back,” said Phillis. “I have also had Kiwi mechanics over the journey, I rode for Rod Price with Helicraft and I’ve got to know team captain, Duncan Coutts well in recent years. We’ve a strong team and we’ll be in the mix.”. Australia’s team includes David Johnson, Shawn Giles, Steve Martin, Cameron Donald, Beau Beaton and Jed Metcher, while America has bolstered its stocks with four-time AMA superbike champion Josh Hayes, Steve Rapp, Mark Miller, Dale Quarterley and Larry Pegram, who will join 2018 fast man Jason Pridmore. New Zealand, Australia and Team USA can field a maximum of 13 riders in the four six-lap International Challenge races. After federal legislation banned the use of AVGAS in Australia, MA has homologated two new fuels for use being Roo 99 and Elf LMS. In a first for the International Challenge, the 2019 event will be filmed and made into a two-hour television program set to be broadcast around the globe. Screen agreements have been reached with networks in Europe, UK, America, Asia, New Zealand and Australia. Locally, the event will be screened on Fox Sports and SBS in February.  The Island Classic, now in its 26th year, isn’t just about the three-nation battle, with the event a pilgrimage for so many riders and spectators as they celebrate a century of motorcycling. There will be 56 races held across the weekend, catering for pre-WW1 bikes through to Vintage (1920-1945), Classic and Post Classic (from 1946 to 1972) and the more recent Forgotten Era and New Era classes. Close to 500 bikes will either be racing or on display.